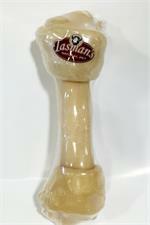 Another "First and Only" from Tasman's Natural Pet! 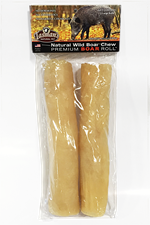 Unlike MOST pork skin chews on the market that are Sourced and MADE IN CHINA, Our Wild Boar Hide chews are made exactly from what we say - American Wild Boar - humanely captured & harvested in Texas under USDA inspection.. 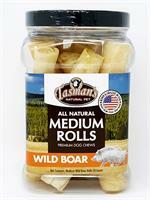 Since the Wild Boars are Truly Wild, they are entirely free-range, with no added hormones, Steroids or antibiotics. 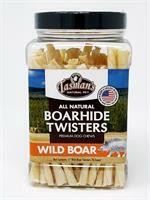 Their diet included wild nuts, fruits, roots and tubers. 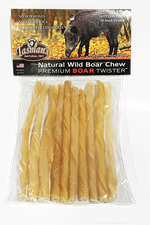 We thought it would be cool to have a work boot made from tough wild boar, but this proved extremely difficult, as many of the Wild Boar Skins are too thick and tough. 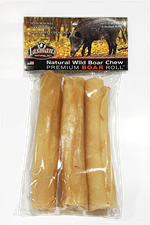 Thus, we developed a process to turn these wild boar skins into natural chews for dogs, much as we did with our American Bison and American Elk rawhide chews. 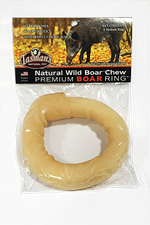 The result is a unique natural porcine chew from animals that have never had human intervention. 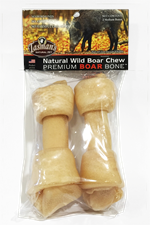 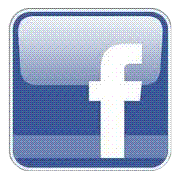 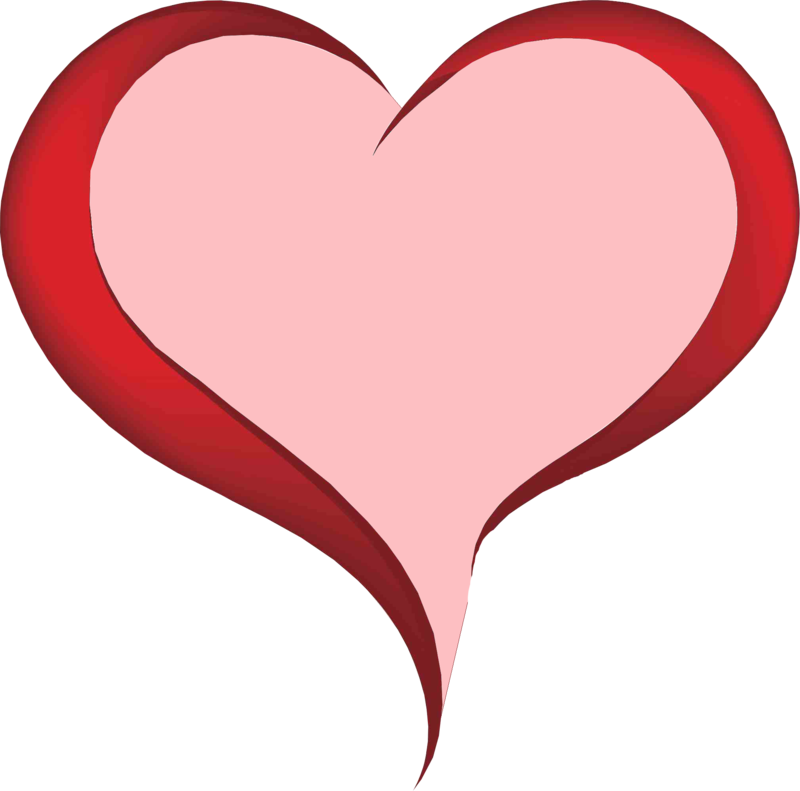 A Chew that dogs absolutely love and you can feel comfortable knowing you are giving them "Nature's Best!" 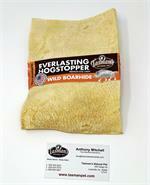 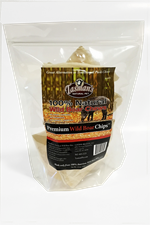 WBC012 Premium Wild Boar Chips - 12 oz.